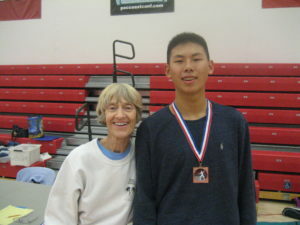 Saturday’s December 9 tournament at College of the Desert was simply stellar! We hosted the 3-weapon open and a “D” and Under in foil, saber and epee. 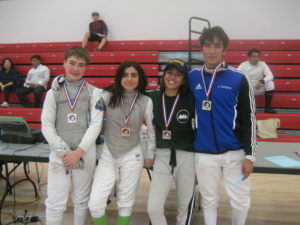 Many of the fencers competing in the 3-weapon also participated in the “D” and under and ratings were given out in both tournaments! Earning his E17 in Mixed Foil , Jesus Campos, Beverly Hills Fencer’s Club. Earning his E17 in Div 3 Foil, Luke Goldade, South Coast Fencing Center. 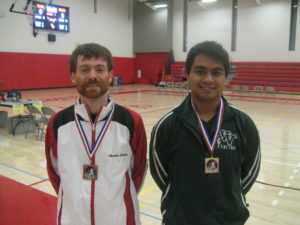 Earning his E17 in both the Mixed and Div 3 Epee, Aaron Liang, Swords. Earning her E17 in Mixed Saber, Leslie Taft, Desert Fencing Academy. Earning his E17 in Div 3 Saber, Simeon Miller, Desert Fencing Academy. Mixed Saber (l-r) 1st, Leslie Taft, 2nd, Simeon Miller, 3rd, Gabriel Rivkin, 3rd, Ian Maskiewicz, all DFA. Leslie & Simeon both earned their E17 rating in saber. 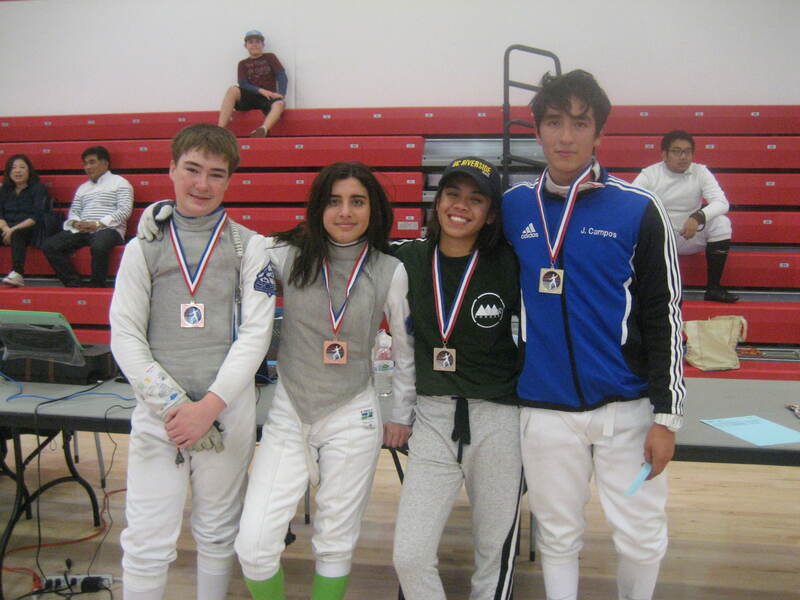 Mixed Foil (l-r)3rd, Luke Goldade, SCFC, 3rd, Julie Gaeta, Precision Fencing Club, 2nd, Leann Labra, UCR, Jesus Campos, BHFC and earning his E17. 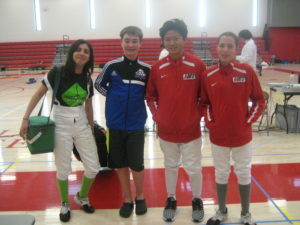 Div 3 Foil (l-r) 3rd, Julie Gaeta, Precision, 1st, Luke Goldade, SCFC, 3rd Banseok Kim, AHFC, 2nd, Emily Coward, AHFC. 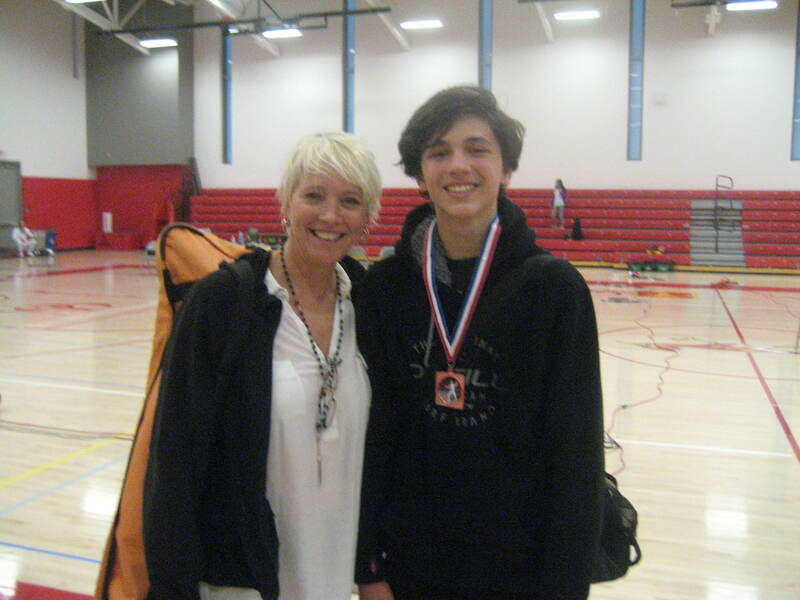 Luke earned his E17 rating. 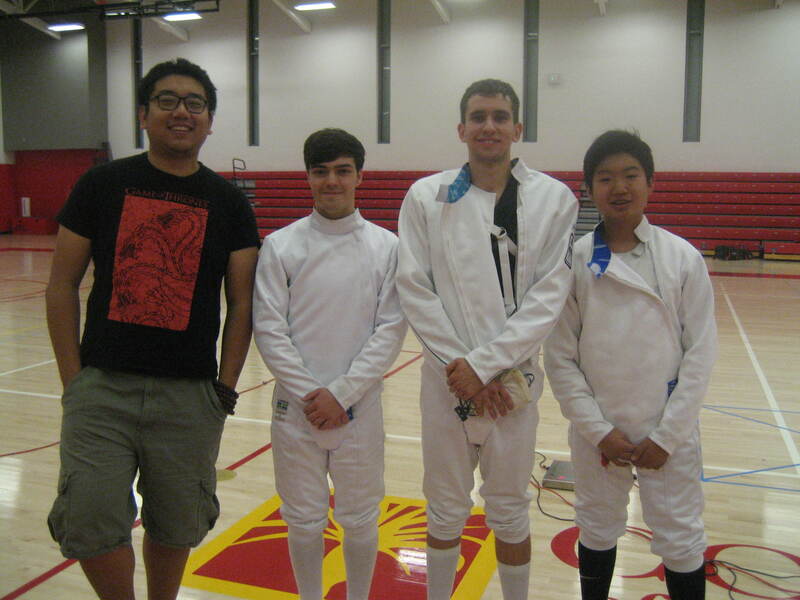 Div 3 Epee (l-r), 3rd, Qingtao Meng, UCR, 3rd, Ashton Arrington, DFA, 2nd, Kamin Morrelli, DFA, 1st, Aaron Liang, Swords and earning his E17. 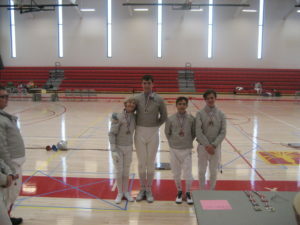 Some fencers had to leave the tournament before finals, but still earned medals. Here are their photos. Mixed Epee, 3rd place, Stafford Moosekian, Swords, with mom. Mixed Epee, 3rd, Alec Zhou, LAIFC, with DFA fencing coach, Leslie Taft. 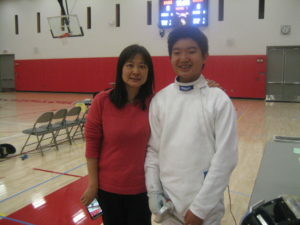 Div 3 & Mixed Epee, Aaron Liang, Swords, earning his E17, with mom.